Links are still important for your site’s SEO. 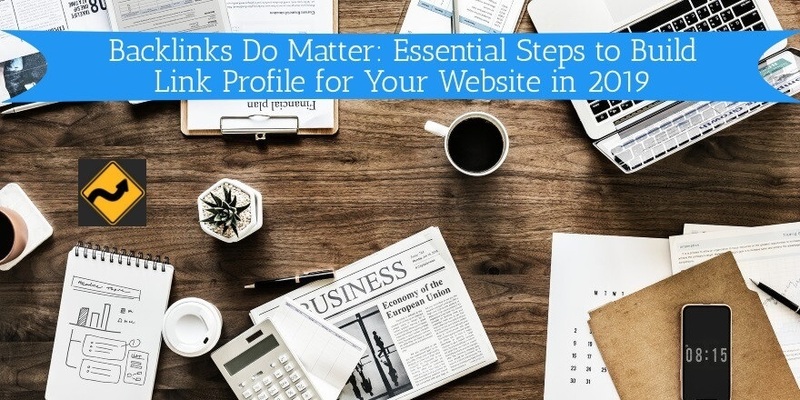 Read the post to discover how to get backlinks for your website in 2019. Running an online business and focusing on SEO, you’ve faced wide discussions on how backlinks impact your website’s ranking. The only conclusion you should make after reading all the opinions on this topic is that backlinks do have a positive effect on SEO. Sadly, knowing of the backlinks’ importance and being able to build a high-quality link profile isn’t the same. Without a doubt, buying links on forums or other resources isn’t a good idea at all. But how can you build authoritative backlinks not being a top influencer in the niche? In this post, I’ll give seven tips to how you can build a trustworthy link profile for your website. Crawling is a process of detecting and collecting new and updated pages to add them to the search engines index. A crawler is a search robot systematically browsing the Internet and comparing URLs found with those which already exist in the index. Sometimes, it takes too long for your page is found by a crawler. So, make sure you place links to your content on other sources related to your subject. Moreover, when a search robot has found your page, it should determine how the page should get ranked in search results. For this purpose, a crawler not only analyzes the content you post but also evaluates the quantity and trustworthiness of pages which link to your website. As backlinks are sure to matter for SEO, it’s time to answer the most important question: How to build an authoritative link profile to improve your ranking? To get trustworthy backlinks isn’t enough to just find some random websites. Looking for all the relevant ones to your site sources manually is quite a time-consuming process. The best solution to this problem is conducting competitor analysis. SEO tools such as Serpstat and Ahrefs will provide you with all the necessary data on your rivals’ link profiles. I’ll go with Serpstat: enter your competitor’s domain into the search field, choose the search engine you rank for, and see the comprehensive analysis of their backlinks. Click on Referring domains and Serpstat will provide you with a list of all the websites which link to your competitor’s site. Select those with a high Serpstat Trust Rank score as it evaluates the trustworthiness of the source for search engines. Once you’ve identified your potential backlink sources, you should think of the ways of making them link to your website. The first and the less complicated one is to guest post on the blogs you’ve selected. Familiarize yourself with the blog subject. Discover the most popular topics. You can use Buzzsumo: enter the domain and see the most shared posts on the blog. It will help you come up with the idea of your post which provides an actual value for the visitors. Create an article addressing subjects of interest of the blog target audience. If you want to promote an informational blog, add a link to one of your articles connected with your guest post subject or to some infographic you created for your blog. If you promote the service or the product, attach a link to your website and show how it can solve the audience’s problem. Blogs usually have the section with the main requirements for people who want to publish their articles there. Follow these rules to increase your chances for your topic to be posted. It may sound controversial but, by promoting other websites, you can promote your site as well. Just make sure you link to authority sources. So, how can outbound links influence your profile? Pretty simple. When a link from your website brings some remarkable profit to the others, there are huge chances their owners will notice it while analyzing increases in their traffic. Consequently, they may visit your site and decide your post is good enough for linking to it (especially, considering the fact that their company is mentioned in the article). This paragraph is kind of a lifehack. Mentioning famous people or brands, you get an opportunity of going viral. For instance, running an informational blog, you can publish the results of a survey for the best marketing strategy ever. The competitors may be such brands as Nike, Coca-Cola, KitKat, etc. People will vote for their favorite brands and share your pole on other sources. If you’re lucky enough and your rating will gain extreme popularity, these giant companies may also notice you and link to the voting on their websites or social platforms. Of course, these giant companies are just examples. Mention successful companies or personalities in your particular niche, and you’ll see they’ll get engaged with your idea. Although your social media presence doesn’t influence your ranking directly, it still matters. Firstly, social networks are one more source where people can discover your new content or even find out that your brand actually exists. The higher your brand awareness is, the more chances people will trust your articles and link to them in the future. Attached links to every new piece of content in your social media posts. What is it? It’s a practice of identifying broken links (those which don’t work anymore) on other sources. Then, creating posts on the same subject as dead content was and suggesting website owners replace those links with your new ones. The good news is that people will happily agree to your offer as broken links are harmful to their websites. Let’s make sure it works. You can see the anchors of each broken link. It’ll help you identify it on the page where you want to suggest new content. Now go to the post, which is the closest to the subject you used to write about, and find the backlink you want to replace. If you could click on the anchor, you would see… Oops, nothing. I guess it’s a sign you should start writing a new post. The next tip is mostly about how not to spoil your link profile. Testimonials are extremely useful if you want to increase the authority of your website. Keep in mind that your reviews section may become a place for other websites to place their links. If these links lead to spammy sources, the trustworthiness of your site will be doubtful. To avoid it, use ‘rel=nofollow’ for links in your testimonials. It’ll inform search robots they shouldn’t follow such links and index them. A high-quality link profile is a key to building the authority of your website. As Google claims that trust is one of the ranking factors, consider that the quality of your backlinks is much more important than the quantity. When working on earning links, make sure you collaborate with trustworthy and relevant websites. Thanks for sharing good information about link building, but i have one question, is directory submission and social book marking is working these days? Although there is some debate about exactly how important, links are still necessary and there is probably still value in directory and social bookmarking links. Directories can also be beneficial for driving actual customers to your site. Link building is one of the most important part of the SEO process. Thank you for listing the different ways of building links and their respective benefits. Very helpful! That’s a great article. Fixing broken backlinks is a great one because you’re benefitting the owner of the website as well as getting the link for yourself – it’s a win win situation! I’ll certainly be taking a look at Serpstat to see what that can do. Hi Chris! Thanks a lot for your feedback 🙂 I’d also recommend you paying attention to search analytics opportunities you can get with the tool. For instance, its USA keyword database now counts 2.5B keywords. I appreciate the quality of information you provide through your blogs. It is an amazing content detailing the significance of backlink in SEO, along with the strategies that are helpful in building backlinks and optimizing the SEO rank. It is very helpful. Thanks, Adelina. Your post about backlinks has given me a lot of clear idea about SEO’s first steps. Each line there were many informative texts. This post about backlink is very much for me. I love this article! I see so many posts these days saying backlinks are not that important but I believe they are still. Great tips, thank you. Backlink is not just building links, backlink for me is a way to introduce yourself to everyone on the internet. Its the very effective way for SEO, because if you will just do backlinks to spam your links, it’s not going to help your blog. No one is going to look up on your brand if your links looks spam. Great post explaining back links. This will help a lot of newbies around the world. This is good to see your essential topics for websites and having right article to see you here and Thanks a lot for sharing with us. Is there any process to generate backlinks automatically? Not any legitimate method that I’m aware of – and thank goodness for that. There is a dirty trick some sites pull where they hide a trackback or pingback in the code on their pages which pretends to link to another person’s site. They do this in hopes of tricking the people running that other site to approve the fake trackback and accept it so they get a link. Personally, I turned off trackbacks and pingbacks due to spammers years ago. I hated to do it as it did notify me of real mentions. And I delete fake pingbacks and trackbacks when I moderate comments in other sites. But more spammers used it than real people. Doing things like that reflects poorly on a site’s reputation. Claim your social profiles – use the same username everywhere. List your business on local directories – make sure you use exactly the same name, address and phone number – what local SEOs call “NAP”. Bookmark your site – some bookmarking and voting sites are dofollow – like BizSugar sharing. Get to know other people who have sites. Comment on their content and share it. Interact with them in groups like our BizSugar Blogger Mastermind Community. Writers tend to link to people they respect and recognize, so be visible and they’re more likely to respect and recognize you. I have a small silly question as i have an Android related website. I run a blog related to “How To Guides” where logically if we see has higher bounce rate because user get answer step by step in single page then will it affect my SEO negatively? Ronak Toshniwal would love you to read ..How To Backup Your Android Device? Do your best to encourage your visitors to get interested in something else – even though you gave them the answer they were seeking in a single page. The best way to do this is to use a visual call-to-action (CTA) at the very end of your post that is related to that post. The more interesting and compelling you can make that, the more likely they will click on it. Notice that you put a URL in the Twitter field. That is not how you should use that field. Either put just your Twitter username in it or leave it blank. I am testing the most recent version of the new CommentLuv and they are still tweaking the features. The old version had a link I could click to remove what you put in the Twitterlink, but this one doesn’t have it, yet. So my choice was to delete your entire comment or leave it there for now. Note that I would typically have deleted it if your comment weren’t highly relevant. hey, I like your build links strategy that helpful for me. Good explanation thank you. Hey Adelina., I like your broken link building strategy. It’s at the top of my to do list to grow my site’s authority. The problem is that, like you said, it takes a lot of work and the topic has to fit like a glove to my site’s theme. Because I’m building content pillars on my site and every piece of content has to fit. Thank you Adelina for the informative article. As a new blogger, one needs to be patient in building backlinks. The same goes for guest posting. Guest posting is difficult for a beginner as one really need to grow the brand before pitching for guest posting. Overall a helpful article. Hi Adelina, thanks for the informative piece here. I need to be sure I’m using no follow on my testimonials. That was NEW to me. I haven’t done much guest posting but am re-thinking that for the next quarter. I also must link out more on my posts. Great timing as I’m ready to start another. Thank you so much! The easiest way to get guest posts is to ask the people already commenting on your own blog who own sites. The other easy ways are by being part of communities on Facebook, or my Blogger Mastermind Community on Skype, or the BizSugar Mastermind Community. If people already know you – and so many know you – all you have to do is ask. Back links matter a lot. The first Step of SEO is Backlinking. Thanks for this valuable information. how to create dofollow backlinks for free? wow that’s amazing facts in this article . in this article many new facts we learn here which are very important and valuable. Backlink and Guest Posting are really good ways to get more traffic for your website. But this article really helps me to do something more for my website. Any help on Buzzsumo verification? Tried signup from this article, requested phone but no code received. Message them on Twitter or Facebook. Guest posting is my favorite way to build backlinks by far, Adelina. I share value, bond with readers and keep churning out guesties daily. 1 daily but sometimes, 2 or 3 or more. Plus you increase exposure and build bonds while building backlinks too. Many people write because they’re uncomfortable interacting. They have to get over that because interactions are what make all the difference. It is easy to become well-known online. You just have to make the time and reach out to people.